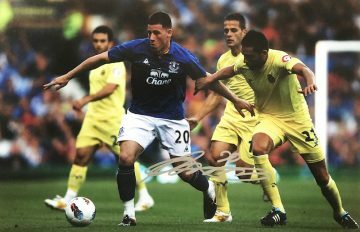 Shop for signed Everton football memorabilia including football boots, shirts and autographed photographs. 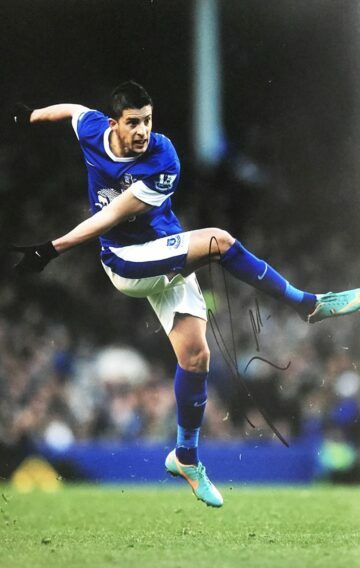 Most items come with a photo of the signing, All Everton signed items come with a certificate of authenticity, free UK delivery and fast worldwide shipping. Topping the league tables for over 120 years, Merseyside’s Everton FC is a club whose name is synonymous with achievement, ambition and accomplishment. It started out life as St Domingo FC in 1878, quickly rising to the dizzying heights of the Premier League in the late 1890s, where it was to remain a firm fixture for years to come. 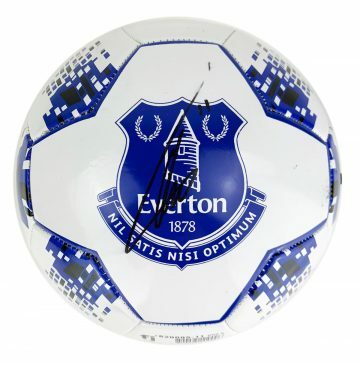 Everton FC is perhaps best known for its impressive track record in the top division – competing for a record 114 seasons in the Premier League, sitting out the tournament just four times in the club’s illustrious history. Triumphs and wins over the years include two League Championships and an FA Cup win in 1995. 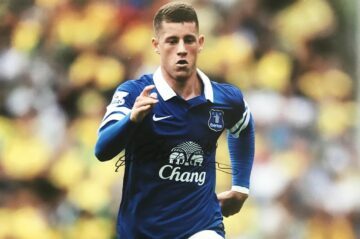 Youth development is a strong suit of Everton’s – and as such it has produced a number of world-class players and national treasures over the years. Everton’s most famous exports include Gary Ablett and Wayne Rooney to name but a few. Everton’s fierce rivalry with neighbours Liverpool provides plenty of nail-biting action for fans, who love to stoke the flames with chants, banners and social media mockery. This is most fiercely felt during derby games, where the blues and the reds battle it out to be crowned local champions. The club’s history and culture are both rich with trivia and quirky activities. Everton fans are also known as ‘The Toffees’ or ‘The Toffeemen’ – a moniker that stuck (if you’ll pardon the pun) after the club moved to Goodison Park from Anfield. Now before each game ‘The Toffee Lady’ does the rounds flinging Everton mints to revellers in the stands. 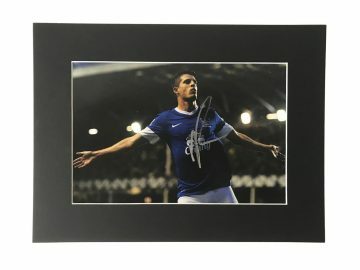 Proud Evertonians will find a variety of fantastic ways to celebrate their boys in blue at Firma Stella – from signed Everton shirts, boots to goalie gloves, balls and framed photographs depicting some of the club’s most epic moments. 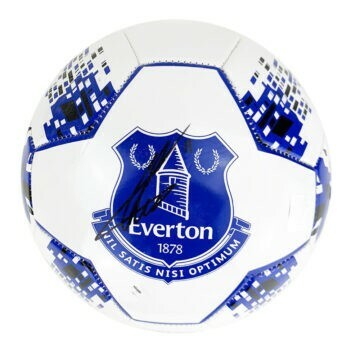 Browse our Everton autographed range of football memorabilia now to source something spectacular for your collection.